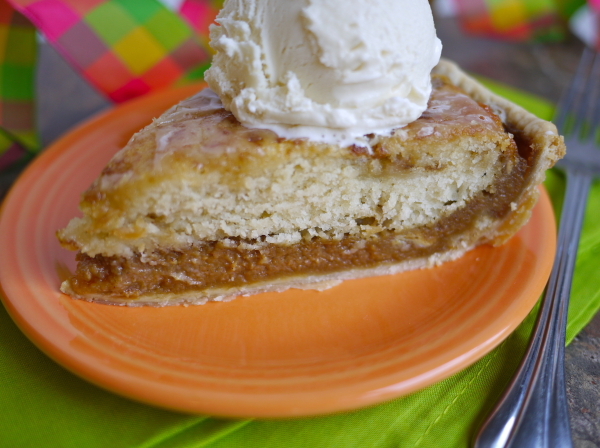 Interesting, because this recipe comes from an Amish woman with the last name of “Beiler”. There are two variations on this name spelling in Amish communities: Byler – which seems more common in Ohio – and Beiler, which seems more common in Lancaster, PA. So this is probably a classic case of someone misspelling a name upon entry into the country. That happened in my family, immigration authorities butchered a couple of our Italian family names, and those changes have stuck to this day. 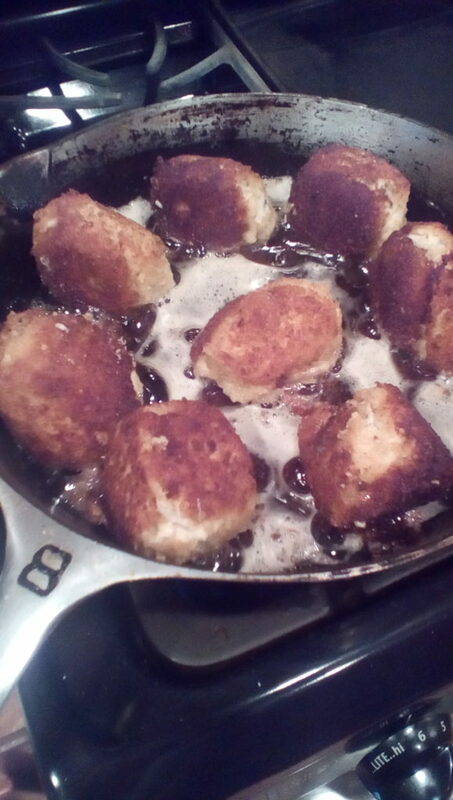 So, chicken croquettes. That sounds all fancy, but it’s not. 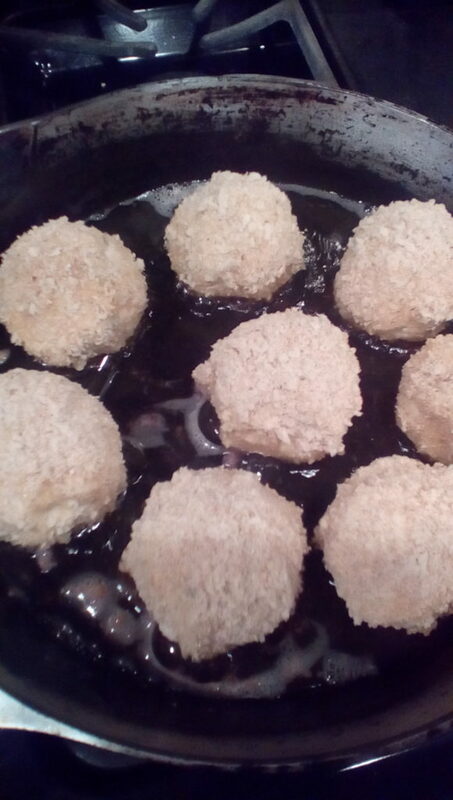 Honestly, if you’ve never made them before you should, the croquette was the forerunner to the McNugget, except with a croquette, you made it and know what is in it. First of all, have never made these, have never tasted these! Pretty easy to make, read that you can make with leftover chicken, leftover turkey (Thanksgiving leftovers), or a combo of those and ham. Ground my cooked chicken in my food processor, added the cooled, cooked sauce, it was really thick when it cooled, and put in the fridge while making the rest of supper. These were so tasty and cooked beautifully in the olive oil. 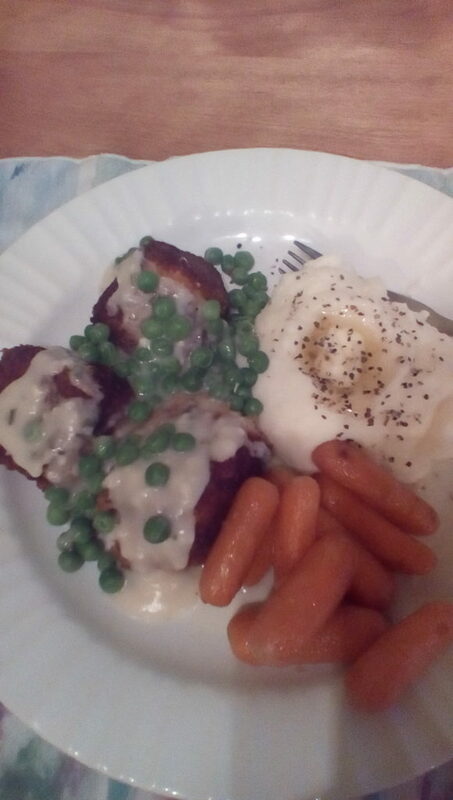 We had with mashed potatoes, cooked carrots, and a simple garlic butter white sauce with some cooked green peas. This was a great use of chicken I had already cooked and was very tasty. Mr said he would like to have this again. If the Mister is happy, then you know it’s a hit, so give these a try! A good meal to complement with veggies and mashed potatoes. 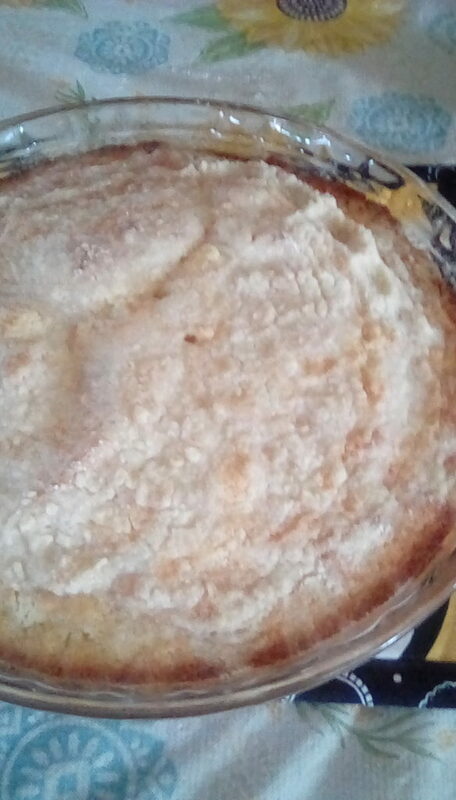 Make a white sauce of the butter, flour and milk. 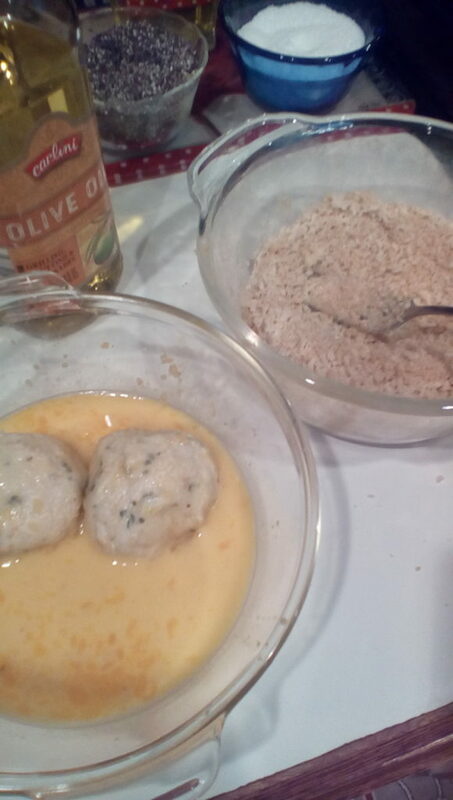 Add salt, pepper and other seasonings to the white sauce. Cool. Combine chicken and seasoned sauce. 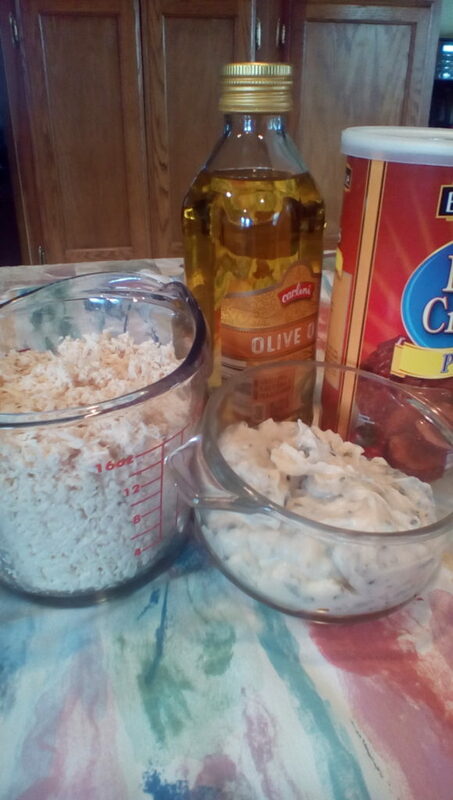 Dip in beaten eggs, then into crumbs. 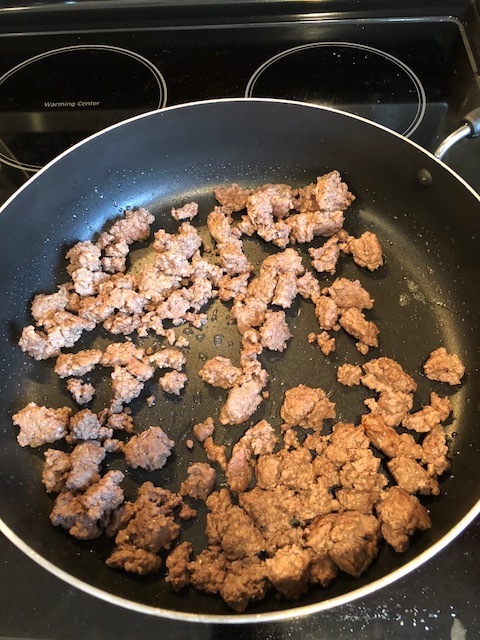 Pan-fry in olive oil at medium heat, for 3-5 minutes per side, or until brown. Set on napkins to remove excess oil before serving. I just did a little research to see what folks ate with chicken crouquettes, and this is what I came up with. Amish in the News: “Hospital-Tality”, Amish in Bikinis, Prize-Winning Amish Cake, and More!